The Emirates Airline Dubai schedule has provided an incredible variety of aircraft since becoming a Boeing 777 'op' on 1st September 2012. One of the more significant of many milestones in this time occurred today, with the last of the rather rare in the UK, ten-strong -200LR fleet to appear here, A6-EWI operating today's rotation. 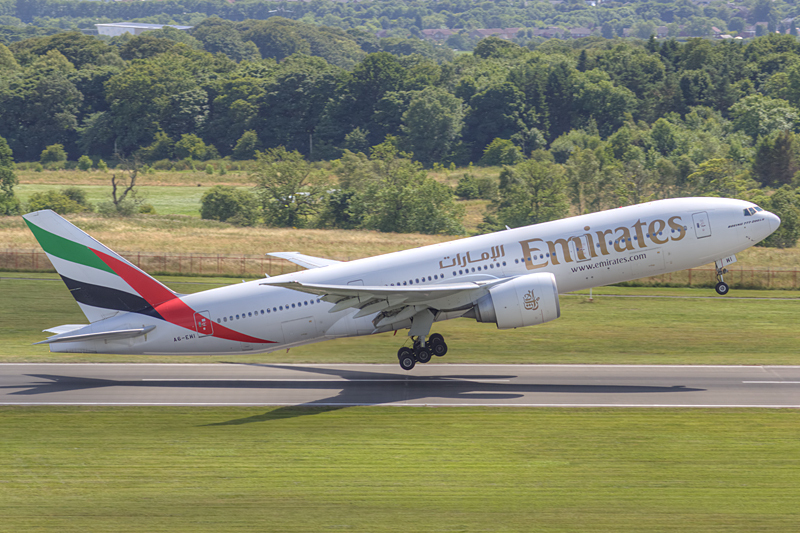 The aeroplane becomes the 90th Emirates Boeing 777 to visit Newcastle Airport, on the 336 landings since the equipment change, only three of the -300ER variants making it into a 'double figures' total of visits.